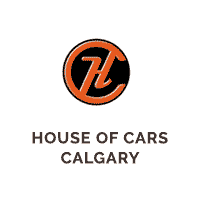 There are many reasons that you might be looking for Calgary Honda used cars. Perhaps your son or daughter has just got their full license and you’d like to reward them with their very first car, or perhaps you’ve started to notice that your current family car is starting to get extremely old and unreliable. Whatever the reason, one thing is never far from your mind: the high expense associated with purchasing a new vehicle. Fortunately, when you choose to buy used Honda cars in Calgary, rather than brand new ones which have come straight from the factory to the dealership, you can keep your costs to a minimum. Take a look at our vast inventory of used Honda cars below or click here to view all of our 400+ vehicles. When you choose to purchase your car from a reputable dealership like House of Cars, you can be sure that even though it’s second-hand, your vehicle will be of truly superior quality and will serve you for many years to come. That’s because our team of highly trained and experienced staff carefully check absolutely every vehicle that we sell to ensure that it meets our high standards of functionality, safety and appearance. Whilst choosing to buy Honda used cars in Calgary is a great way to make the process of getting a new vehicle significantly cheaper, it doesn’t change the fact that a sizeable investment will still most probably be required. And for those people who aren’t in the best financial situation, this can still present serious problems. Many people are not in a position to pay for their cars upfront, or even to put much of an initial deposit at the time they make the purchase. In this case, you can choose instead to opt for auto financing to cover the costs. If for whatever reason you have a low credit score, it’s easy to assume that this option is closed off to you, but that is not the case here at House of Cars. We accept all credit situations, good, bad and new. Regardless of whether you’re a student or self-employed person for whom it’s difficult to prove that you have a reliable monthly income, whether you’re new to Canada and you don’t have a traceable financial history in the country, or whether you’re somebody who has had financial difficulties in the past and has had to file for bankruptcy, you can be confident that this doesn’t mean that auto financing is beyond your reach. With the help of the professional Financing Department here at House of Cars, you’ll be able to learn all about the different financing options which are relevant to your situation, before selecting the one that is best matched to your requirements and preferences. This way, absolutely anyone can get access to the funds they need to get the used car they’ve got their eyes on. Here at House of Cars, we’re proud of the reputation for excellence we’ve built in the industry. Not only are all of our cars of the highest possible standards, but they all come with free CARPROOF, a mechanical fitness inspection and warranty options are available. Visit one of our locations throughout the Calgary region today or get in touch to find out more information about our services.